Our work requires us to have a camera with us day in and day out, so we know a little bit about what makes for a good camera bag. A photo bag must protect the camera, have room to carry accessories, and be built to stand up to the wear and tear of the road. Unfortunately, photo bags can also attract unwanted attention and be a target for thieves. 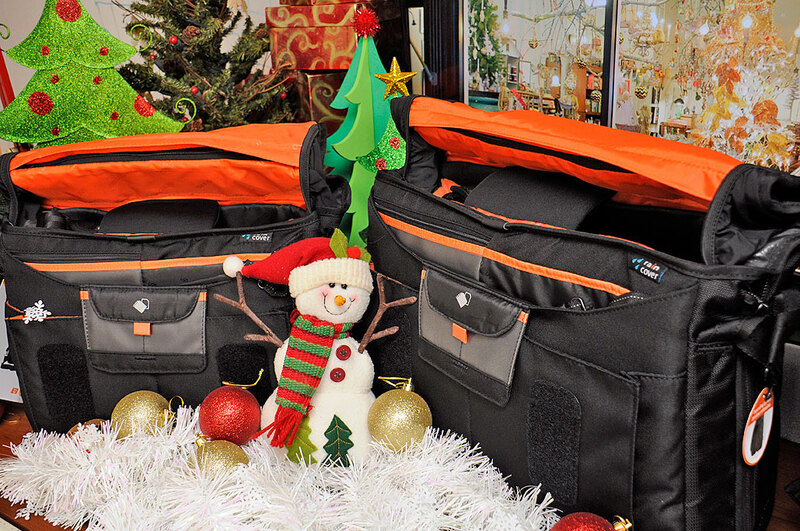 So when selecting suggestions for this year’s Photo Bag RainyDayGiftGuide, we gave a lot of thought to units which don’t look quite like traditional camera bags but still have all of the features a serious amateur or a pro photographer would want/need. After some consideration, a few rounds of discussion, and a lot of paring, we decided on the following nine bags for this year’s list. VANGUARD is a global manufacturer of tripods, camera bags and cases, shooting sticks, cases, binoculars and spotting scopes with first-of-its-kind features and capabilities. They have grown from a small operation in 1986 to a name trusted by professional photographers and outdoor enthusiasts worldwide today. Vanguard is new to us, but we were more than impressed with both the quality of the construction and the innovative thinking behind the features. The two bags we think readers will like are the Vanguard UP-Rise II 28 and its larger brother UP-Rise II 38. Both bags look more like soft-side briefcases/messenger bags than camera bags. They are able to carry one DSLR with lens attached, extra lenses, a flash unit, and accessories (memory cards, cables, battery and charger). With one easy zipper motion, both have the ability to expand in size to adapt to changing gear needs and has a completely customizable, thickly padded interior. The UP-Rise II 28 will hold a 10″ laptop/tablet. The UP-Rise II 38 can accommodate a 15″ laptop. For the avid outdoors photographer on your list, the Vanguard Heralder 48 camera pack will be large enough to carry everything they will need. The Heralder 48 holds a DSLR with telephoto lens attached with room for 3-4 extra lenses. The front pocket is large enough for a tablet. In the bag is a compartment large enough for a 15″ laptop. The Vanguard gear bags have a high-tech appeal. For those who favor a softer look, but with every bit of the functionality, then the Billingham Hadley Pro is the perfect alternative. We have been using one for a few months and can recommend it without reservations, especially for use with a high-end point-n-shoot camera such as the Fujifilm X100S. 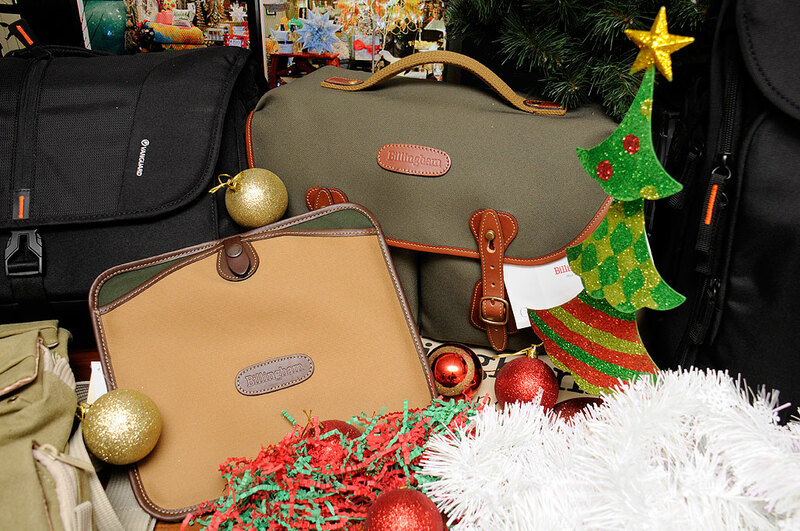 Conceived, designed and made in the United Kingdom, Billingham bags and accessories reflect an English preoccupation with excellence and attention to detail. They use time-tested materials (heavy cotton, leather, brass) to make modern, practical, and great looking gear. However, do not let their charming roots and old-world values fool you into thinking that their gear is behind the times. Their latest accessory is a tablet sleeve for the Hadley Pro bag. Fabulous!!! “National Geographic” is a brand strongly associated with exploration, world-travel, and iconic images taken at far away places. So it is not surprising that the lines of bags with the “National Geographic” name stitched on it will leverages those associations (Earth Explorer, Africa). We often stay away from gear endorsed by well-known names because they tend to be more flash than function, but that is absolutely not true in the case of the National Geographic lines of photo gear bags! 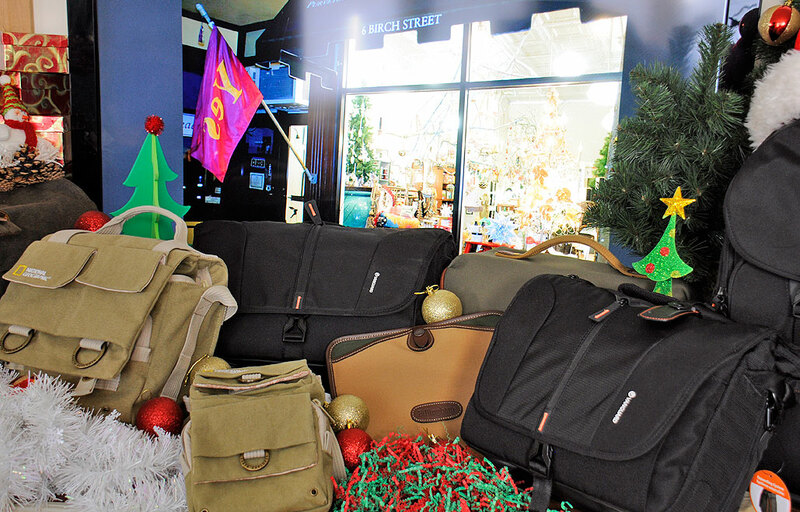 We found them to be rugged, versatile, and very well-conceived bags for both the urban jungle and out in the wild. They are made from heavy-weight cotton, have lots of pockets, and depending on the model, have room for both camera and personal electronics (smartphone, tablet, laptop). Of course, bags which we have recommended in past years (2012, 2011, 2010) are still excellent choices should you be looking for the more traditional ones. Feel free to go back and take a look. Have fun shopping and have a great Holiday season!